The new Hyundai i30 raises the bar for the family hatchback segment, delivering supreme reliability and performance. Offering a premium in-car experience and excellent value, it’s the smart choice for any discerning motorist. Designed to have timeless appeal and undeniable style, the exterior of the new i30 is a blend of sharp creases and sensuous curves. Standard features include alloy wheels, a Shark Fin Antenna, and body coloured mirrors and door handles for a smooth and seamless profile. As such, it’s a vehicle that’s sure to turn heads wherever you go. The premium features and quality carry over to the interior of the i30, with a floating touchscreen infotainment screen and leather-wrapped steering wheel providing indisputable class. Bluetooth® connectivity and a DAB radio enable you to stay in touch with the world, while cruise control makes high speed driving effortless. Opt for the SENav model and higher to add wireless phone charging. 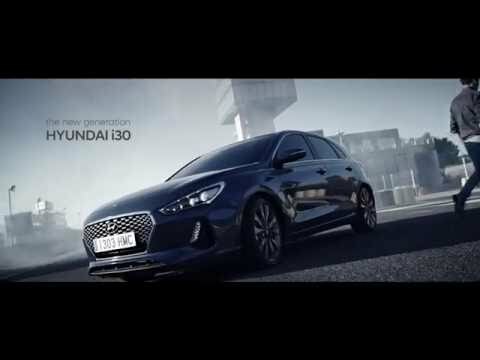 In order to cater to as many different driving styles as possible, the Hyundai i30 is available with a range of petrol and diesel engines, mated to manual and DCT automatic transmissions. If economy is a priority, choose the 1.6-litre turbo diesel unit, which emits just 99g/km of CO2 and achieves a combined fuel consumption of 74.3mpg. If it’s high-powered performance you’re after, select the 1.4-litre T-GDi petrol, which delivers 140PS and 242Nm of torque for an exciting and agile drive. Occupant safety is of paramount importance, which is why the new i30 is equipped with extensive measures to keep you and your family protected. Passive equipment includes all-round airbags and ISOFIX child seat anchorage points to keep infants secure, while ABS, Lane Departure Warning and Electronic Stability Control are standard active features. For more information on the new Hyundai i30, please contact Turners Hyundai in Ipswich and Bury today.